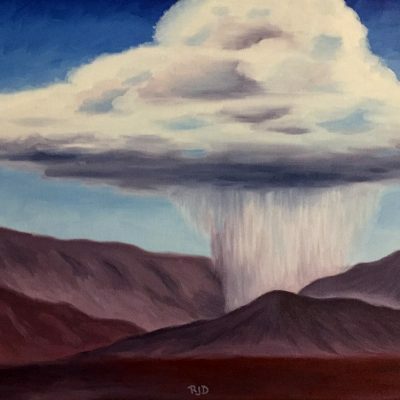 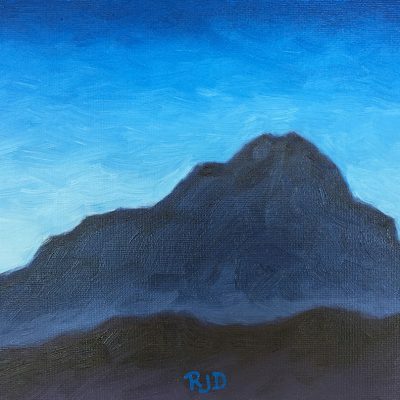 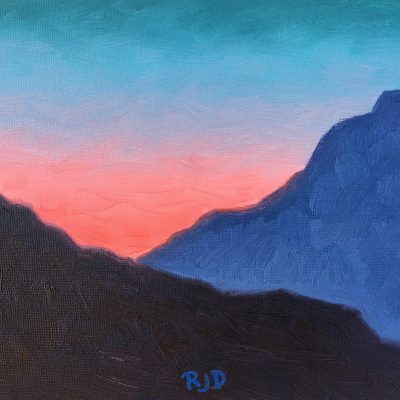 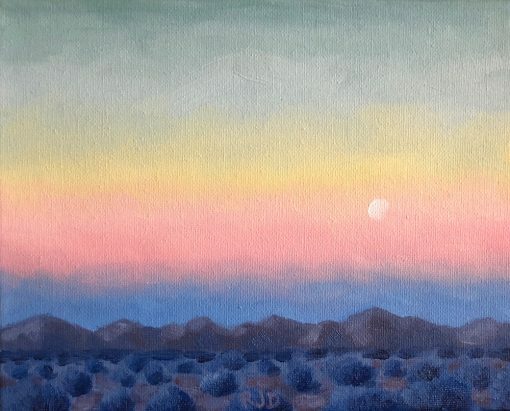 This is an original oil painting of a view of the McDowell Mountains, just east of Phoenix, seen from the west just after sunset. 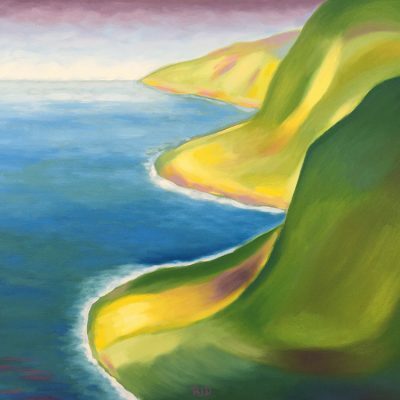 I was drawn to the range of colors in the sky that evening — from the blue just above the mountains created by the earth’s shadow, to the pinks that faded into yellow, yellow-green and finally a greenish blue. 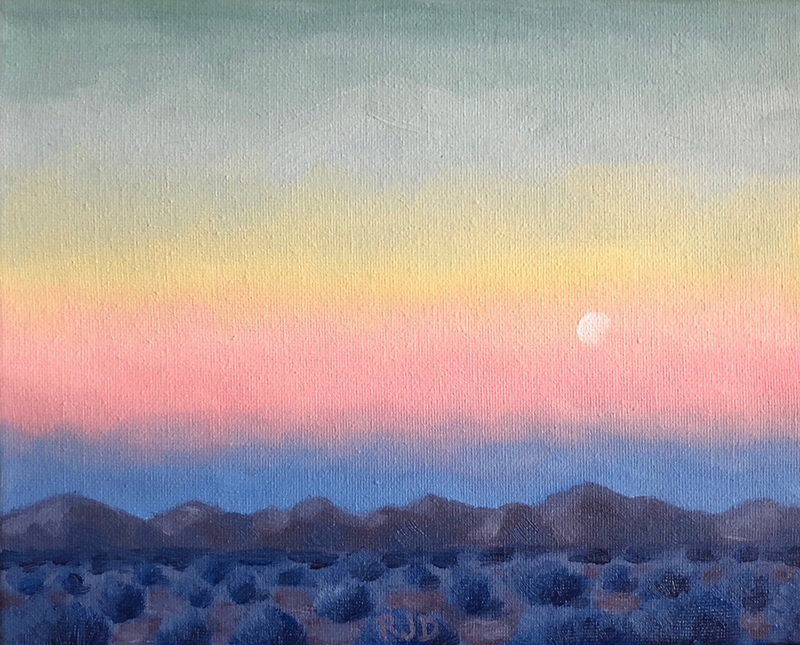 The rising moon combined with the contrast of the sky with the deepening blue-purples of the mountains and the cool blues of the desert floor and brush, created a serene feeling that I was compelled to try to capture in this piece. 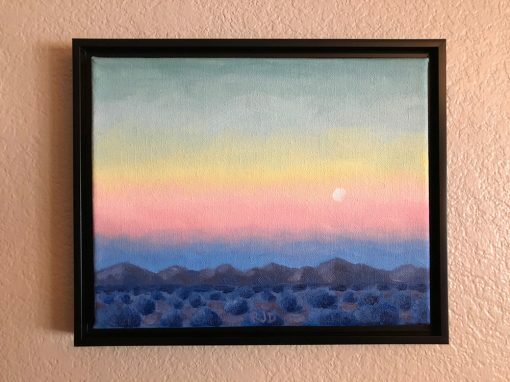 This oil painting is painted on an 8×10 stretched canvas, sold framed as shown and shipped USPS Priority Mail.